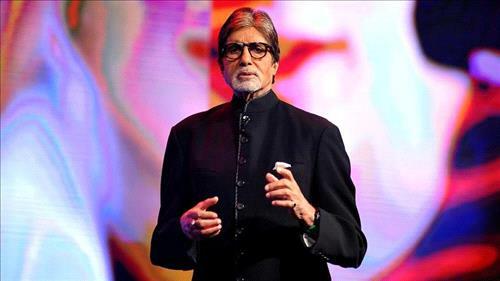 AMMONNEWS - Bollywood veteran Amitabh Bachchan was hailed on Wednesday as a star of India’s farmers after clearing loans worth more than 40 million rupees ($560,000) as an agricultural crisis forces many rural workers into extreme poverty. India's farmers have been hit hard by a drop in commodity prices, stagnant wages, record fuel prices and high fertilizer costs, sparking rallies across the country this year calling for better prices for produce and loan waivers. Farmers and other agriculture workers together make up about half India's 1.3 billion people. “It is a very big problem that has left farmers across the country in dire straits,” Rakesh Tikait, spokesperson of the Bhartiya Kisan Union (Indian Farmers’ Union) told the Thomson Reuters Foundation in a phone interview. Tikait said Bachchan's gesture might have been symbolic but it meant a lot for farmers who were struggling to survive. More than 12,600 farmers and agricultural workers committed suicide in 2015 alone, accounting for about 10 percent of all suicides in India, with almost 60 percent of suicides caused by bankruptcy and indebtedness, according to official data. Bachchan, one of Indian cinema's most revered actors, wrote in his blog this week that he had helped 1,398 farmers from the northern state of Uttar Pradesh and felt a “sense of accomplishment”. “Gratitude leans across to the desire of removing some of the burdens that farmers continue to suffer ... and the inner peace it generates when the desired is completed,” he wrote.